Happy 35th birthday to Colour by Numbers! 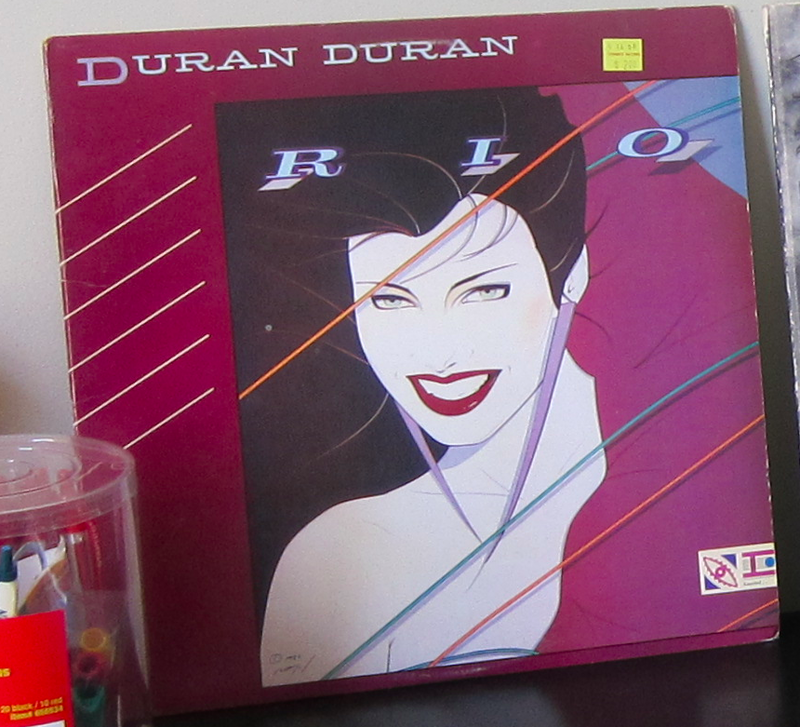 This was one of those albums I got because I saw it in the $2 vinyl stack, and I wanted to indulge my Eighties nostalgia (the same reason I bought Rio in 2007, little dreaming I’d become a Duranie three and a half years later). I ended up really liking this album on its own merits. Unfortunately, the first Culture Club album, Kissing to Be Clever, which I also got in the $2 stacks, didn’t impress me so much. Their début album may be spotty (with a lot of songs sounding too much alike, too close together), but this their sophomore album absolutely hits it out of the park. It’s a quintessential Eighties album I highly recommend to everyone who loves that decade. Released October 1983, the album hit #1 in the U.K., Australia, Canada, Japan, and New Zealand; #2 in the U.S., Spain, and Norway; #3 in Sweden and The Netherlands; #4 in France and Switzerland; #6 in West Germany; #9 in Italy; and #17 in Austria. Critics by and large loved the album, giving it extremely high ratings. Colour by Numbers has been certified quadruple platinum in the U.S., triple platinum in the U.K., and platinum in Hong Kong; diamond in Canada; and gold in France. The album is still well-regarded today, both as one of the best albums of the Eighties, and an overall fantastic pop album. It’s hard to pick a favourite song, since they’re all so good! Image used solely to illustrate the subject for the purposes of an album review, and consistent with Fair Use Doctrine. I really thought I had photos of my own vinyl copy, but I couldn’t find them. Now my entire vinyl collection is 900 miles away, in storage with almost everything else I own. As discussed in my fandom story, Valentine’s Day 2011 was that magical moment when the switch flipped and I officially became a Duranie (though I was intellectually in denial about it for awhile). It’s hard to believe seven years have already passed! To mark my seventh Duraniversary, I decided to review their very underrated album Big Thing, released 18 October 1988. Coming after the masses of screaming teenyboppers had petered out, this album came at a time when the musical scene was shifting from the trademark Eighties synth-pop sound to dance music. To try to get a fair shot at unbiased radio play, the band sent an edited, three-minute version of “The Edge of America” and “Lake Shore Driving” to radio stations, under the title Official Bootleg: The LSD Edit, and credited to The Krush Brothers. The album also contains three experimental instrumentals, “Interlude One,” “Flute Interlude,” and “Lake Shore Driving.” This isn’t the type of album irrevocably date-stamped and immediately announcing its era. Due to the relatively low chart position of third single “Do You Believe in Shame?,” the planned fourth single, “Drug,” wasn’t released. My favorite tracks are “The Edge of America,” “Land,” “Palomino,” “Do You Believe in Shame?,” and “Too Late Marlene.” I’d rate this album a solid 4 stars. Welcome to the first installment of The Insecure Writer’s Support Group for 2018! A total stranger recently misinterpreted one of my Tweets and jumped on me like an attack dog, assuming both my religion and politics. She never apologized after I explained several times I was writing from the POV of a character and that this is a writers’ hop. I also recently did a guest post about Dr. John Money and David Reimer for 4thWaveNow. I was recently in the odd, difficult position of having to pass on an offer of interest. Though I haven’t taken part in any trad-pub contests in a few years, I took a chance and pitched the book formerly known as The Very First during the latest Pitch Madness. Removing or radically reworking them just to curry favor and potentially get published would alter the story in unacceptable ways. It would distort and misrepresent my voice. That publishing house is also an imprint of a very conservative religion’s book company, and has a censorship board. G-rated content isn’t who I am at all. My character Cinni says several times that real life isn’t like a Norman Rockwell painting, and that that kind of life never existed for many Americans. I thought I only had to finish up my unplanned chapter on The War of the Worlds radio broadcast and do some final polishing, but I instead saw an awesome opening to add two additional chapters after what I always thought was the ending. Though I’ve carefully edited this book to feel more suited to upper MG, the ending felt too simplistic, easy, sudden, more suited to a younger readership. The new chapters are about Sparky’s first Thanksgiving, and the experience of being Jewish when everyone around her celebrates Christmas. There’s also an Epilogue in January 1939, at her favorite brother Barry’s bar mitzvah. The new and improved reason for the nickname Sparky will be revealed then. My guesstimate for the final length is 80K, which is super-short by my standards. The hot mess of a first draft was only 38K. I also need to finish my alternative history about the rule of Tsar Aleksey II. My initial plan was to release it on what would’ve been his 112th birthday, 12 August 2016, but that obviously didn’t work out. A release date of 17 July 2018 would be so appropriately bittersweet, since that’s his real-life 100th Jahrzeit (death anniversary). Getting back to work on my fourth Russian novel would also be awesome. My October series on classic horror films will include The Invisible Man (1933), West of Zanzibar (1928), The Fall of the House of Usher (1928), The Hunchback of Notre Dame (1923), and several Georges Méliès films. I’m also going to feature the radio play of The War of the Worlds (1938). As I recently discovered, the so-called mass panic was far, far, far less widespread than we’ve been led to believe. It’s also an awesome story perfect for Halloween. Finally, as you might’ve seen in my second banner, I’ve added an index page cataloguing my posts by nine major topics—book reviews, film reviews, album reviews, misc. book-related, misc. film-related, misc. music-related, historical topics, writing advice, and names. What are your writing and editing plans for this year? “My Own Way” was the very first Rio single to be written and recorded, in October ’81. It was released as a single the next month, in a very different style from the album version. The other eight tracks were recorded in early ’82, produced and engineered by Colin Thurston, at London’s Air Studios. The massively overplayed “HLTW” was the second single, released 4 May 1982. “Save a Prayer” became the third single on 9 August 1982, and the title track was released as a single on 1 November. Carnival was very successful, leading Capitol Records to start marketing them as a dance band instead of New Romantics. Seizing the moment, the band compelled Capitol to re-release Rio in the U.S. In November, they got their wishes, and this new version (with the first five tracks re-mixed by David Kershenbaum) went to #6. The international success of the album and its four singles was due in huge part to the newly-mainstreamed artform of the music video. While music videos had been around for quite a long time, they were typically done only as promotion prior to MTV. They weren’t a carefully-considered artform in the old days. Who could imagine any Eighties band, artist, or song without the music videos? They’re such a quintessential aspect of my childhood decade. While music videos are still being made (shocking as it is to discover), the modern ones are nothing like the classics from the Eighties. Music videos were made for the title track, “HLTW,” “Lonely in Your Nightmare,” and “Save a Prayer” in Antigua and Sri Lanka. Also filmed was a very weird music video for “Nightboat,” from their first album. Warning: Video NSFW or under 18! 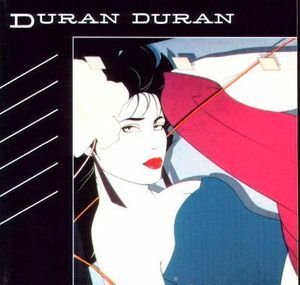 The album cover was designed by Malcolm Garrett and famously painted by American artist Patrick Nagel, and went on to become one of Nagel’s best-known images. His alternate version of the cover was finally used in 2001 for a limited edition remaster. Most of his works were female figures in a style inspired by Art Déco and initially based off photographs. Rio frequently makes those incessant “best-of” albums lists, for British albums, Eighties albums, and greatest albums of all time. The album has not only remained popular and relevant over the last 35 years, but also influential on many other musicians. It’s not an album anyone could go wrong buying.